Check out the Office Master OM5 Series® is a self weighing chair that intuitively responds to a wide range of body weights and sizes without the need for manual tension adjustments. BAM! 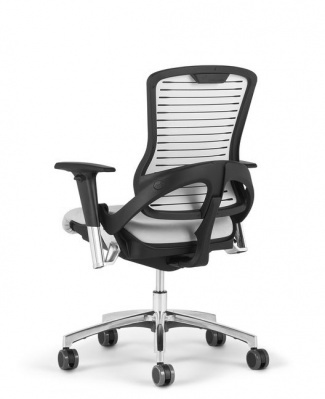 Office Master OM5 Body Actived Motion. It's so easy that the chair just moves with your body. Browse the OM5 Series® by Office Master below. Buy your OM5 today and save with FREE shipping. ...and even easier to put together with NO tools Required. Ships assembled in the box.